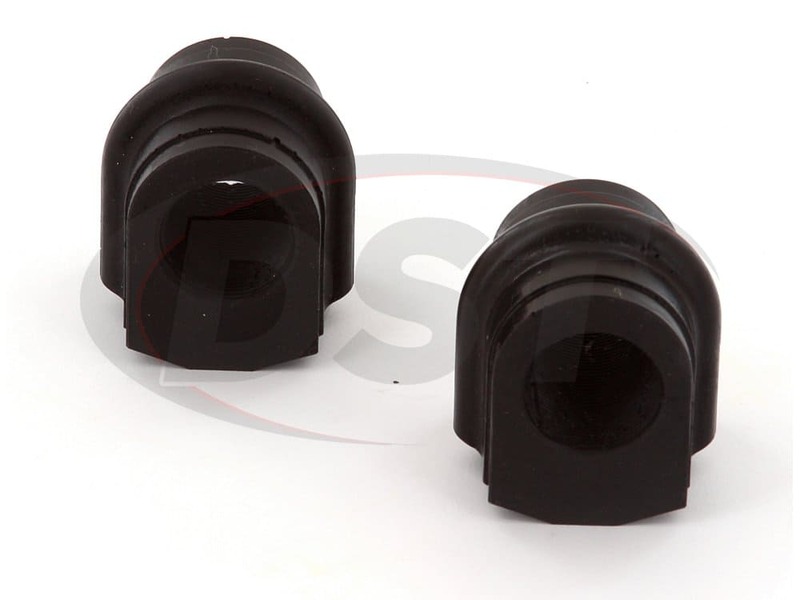 These 21mm Polyurethane Rear Sway Bar Bushings from Prothane are a great replacement option for the worn or degraded rubber sway bar bushings for the 2003-2009 Nissian 350Z or 2003-2007 Infiniti G35. Prothane's 21mm Rear Sway Bar Bushings will reduce body roll, improve traction in a turn, and correct uneven tire wear, and give you the benefits of a much more expensive, larger diameter sway bar for a fraction of the price. The rear sway bar of your Nissan 350Z or Infiniti G35 connects the rear wheels so that during a turn the body of your car doesn't roll to the outside and possibly cause a loss of traction. That said when the sway bar is being held in place by flexy rubber bushings the bar can move and cause the alignment of the rear wheels to change in a sharp turn. This can contribute to more frequent tire replacements because of uneven wear or allow your 350Z or G35 to slide out during a turn. When powering through turns on back roads here in Stephenville, Texas we like to know we will have traction. 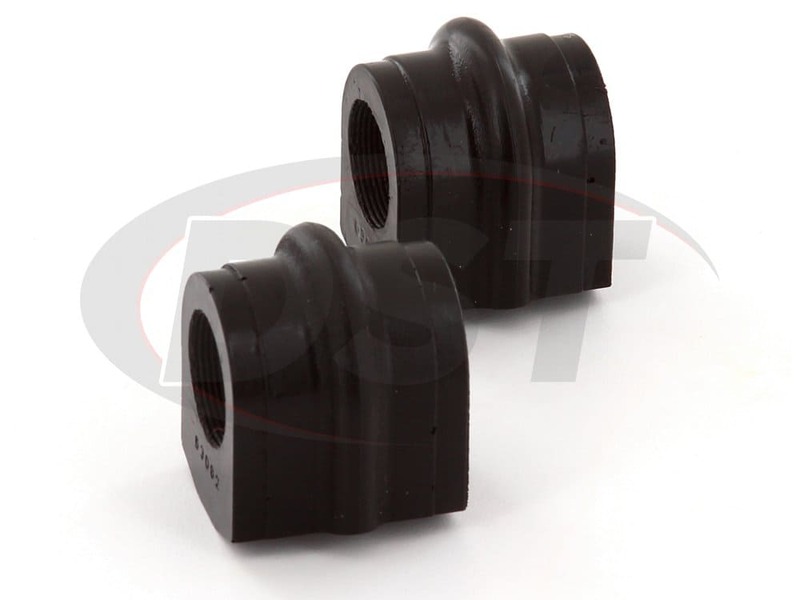 Since a rubber bushing's primary function is to absorb vibration they are a good option in many bushing positions, but the sway bar doesn't transfer vibration because it doesn't support the vehicle's weight. This means you can use a firmer material without the normal increase in noise and vibration that accompanies polyurethane bushings. 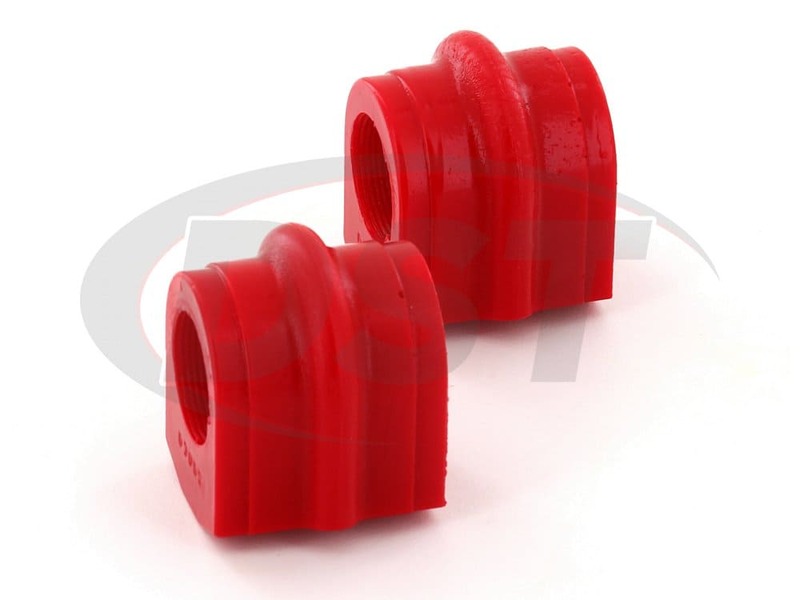 Prothane's 21mm Rear Sway Bar Bushings are made of polyurethane which doesn't flex like rubber and does a much better job of holding the rear sway bar. 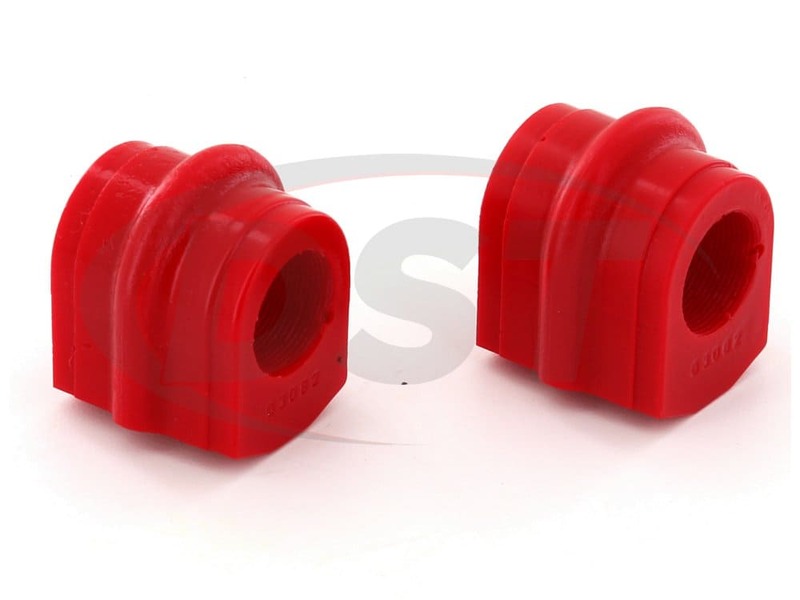 With the added grip of these polyurethane bushings, the stock sway bar on your 350Z or G35 will take on the characteristics of a more expensive, larger diameter sway bar. This will decrease body roll and keep the contact patch of your rear wheels flat on the ground to provide better traction and even tire wear. 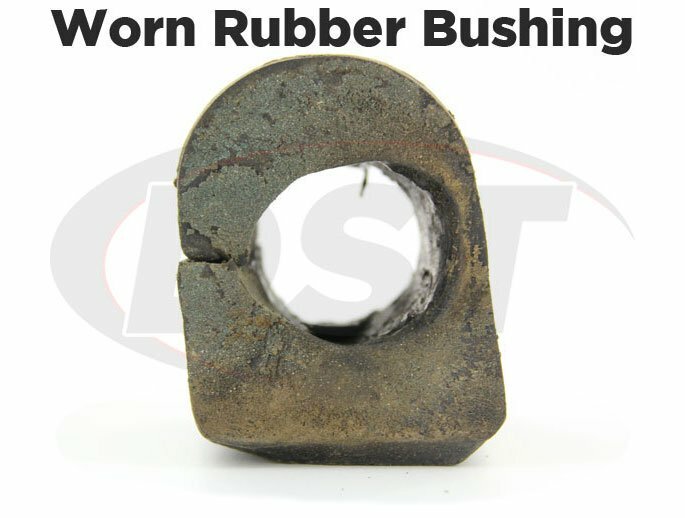 As we mentioned before, there is really no benefit to rubber bushings since vibration will not be passed to the driver through the sway bar. 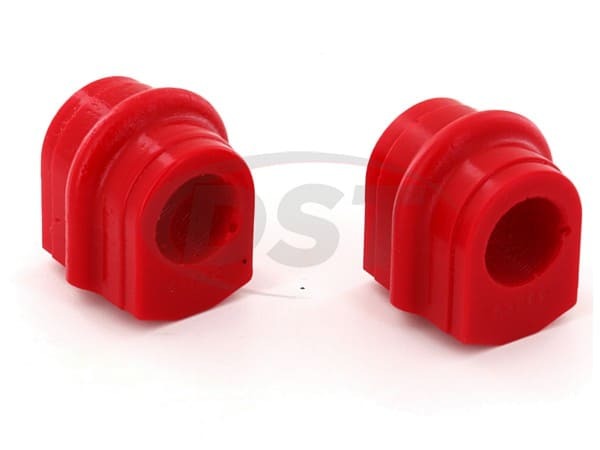 As a bonus, polyurethane is much more durable than rubber, meaning these bushings not only provide a performance enhancement but they will outlast rubber bushings every time. 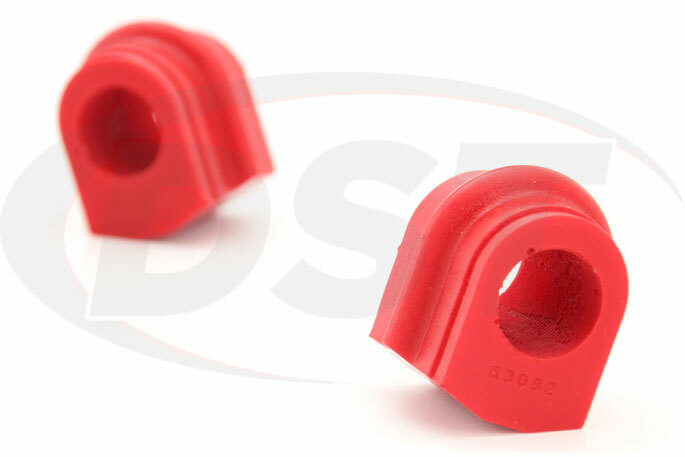 In fact, Prothane covers these bushings with a lifetime warranty that DST will handle for you in-house. 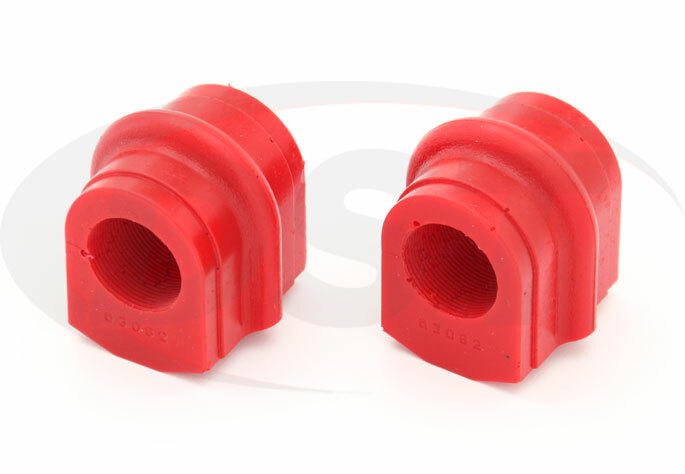 If you enjoy the increase in control during turns that these rear sway bar bushings provide you can check out Prothane's polyurethane front sway bar bushings. 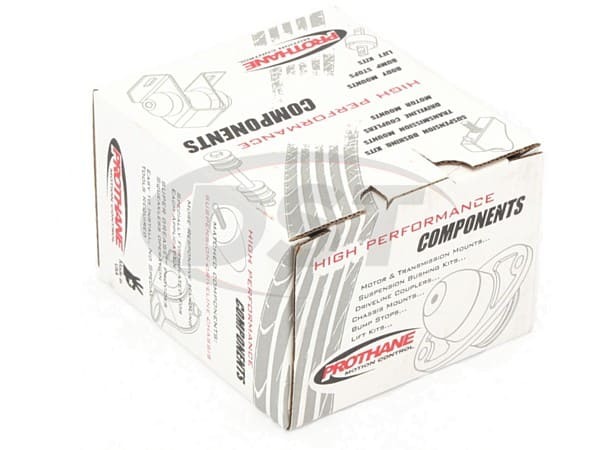 If you really want to sharpen the response of your vehicle then Prothane offers a Complete Bushing Replacement Kit for the '03-'09 350Z or the '03-'07 G35. 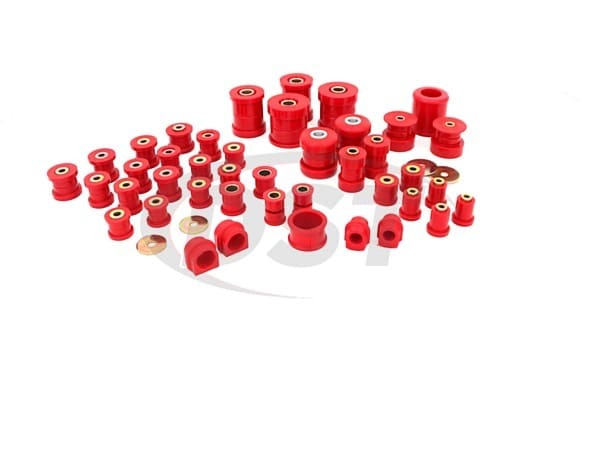 This kit will replace all of the rubber bushings in your car's suspension with polyurethane bushings, giving you reliable wheel alignment, better traction, and quicker transfer of power from the engine to the wheels.